Spoiler alert! If you haven’t seen Making a Murderer yet, best not read any further. MAKING A MURDERER has been an absolute phenomenon – but when its directors first started filming the series, they had no idea it would would end up going the way it did. The Netflix series documents 10 years in the life of Steven Avery, a Wisconsin man who spent 18 years in prison for a crime he didn’t commit, only to end up accused of another, more serious crime just two years later. By the end of the 10-part Netflix series Making a Murderer – which you no doubt binge-watched over two days during the Christmas holidays like the rest of us – Steven Avery is in jail, and so is his nephew Brendan Dassey. Did he really murder young photographer Teresa Halbach and burn her body on his land? And did he get his nephew Brendan Dassey to help in the killing? Did Avery and Dassey get a fair trial? Were they framed? Why did some of what Manitowoc Sherriff’s Department did in relation to the case feel so, well, odd? Moira Demos and Laura Ricciardi are the two women behind the show. They first started filming when Steven Avery’s second trial began, and ended up moving to Manitowoc as the trial got underway. When they began the project, there was no ground-breaking Netflix streaming service. ‘Binge-watching’, though it undoubtedly happened, did not have the cultural hold it has now. Streaming an hour-long documentary on the internet ate away at your dial-up connection. In other words, the landscape was very, very different. “When we started this, there really wasn’t an outlet for a series that we could see. And frankly when we started this we didn’t know it would be a series,” Moira Demos said in an interview with TheJournal.ie. But as you know, in the middle of episode three there were major developments “that blew this case wide open”. That was the moment they decided they were determined to tell the story “in the format the story needed to be told”. The documentary was also self-financed. “We didn’t have fund, but what we did have was time, and that really allowed us to cover the story in depth and to do it as responsibly and thoroughly as possible,” said Ricciardi. They had over 1000 hours of footage. Ricciardi described their series as “very much an exploration of the extent to which the [judicial] system had evolved from the time since Steven’s initial wrongful conviction in 1985″ to the second case. They wanted to explore “to what extent the system would be reliable in 2005 than it had been the previous 20 years”. What they found was that, despite some advances, there is still a “very long way to go”. “I think that even just looking at Brendan Dassey’s case illustrates how much room for improvement there is in the American justice system,” said Ricciardi. She describes the pair as being “uniquely positioned”. “We are able to, I think, provide a service to viewers in a sense [of] provid[ing] them with a type of storytelling they can’t find elsewhere. But the beauty of it is there is room for all types of storytelling. The corporate media and daily news media has its place and documentarians, longer form storytelling, has its place. For Irish viewers, the pre-trial court reporting shown on Making a Murderer is remarkable, in that it makes statements about Avery that would never be shown on Irish TV. Ricciardi said she and Demos “value and respect the Constitution and freedom of the press” but believe the pre-trial reporting “needs to be responsible and it needs to factor in of course the extent to which pre-trial publicity can prejudice an accused’s right to a fair trial”. She pointed out how the community had some history with Steven Avery, who was already a very high-profile man. What do his family think? Somewhat remarkably – though perhaps understandingly, given his situation – one of the only people who hasn’t seen Making a Murderer is Steven Avery himself. His mother and father have seen it, and Ricciardi reports “they were moved by it and they thought it was a fair portrayal of the family, what their experience was like”. Avery did ask permission from his prison warden and social worker at the maximum security prison he’s in to watch the series, but they denied him the request. The family, said Ricciardi, had felt very embraced by the public for the two years following the overturning of Avery’s wrongful conviction. But with the dawn of the second trial, they have “been ostracised, vilified and been hurt, essentially, by the public response and media coverage”. Ricciardi and Demos were given incredible access to the Avery family, and it’s that which helps bring the documentary from a courtroom drama to a domestic one. Seeing the sadness, hurt and confusion in his parents’ eyes – and the changing minds of other family members – brings another human level to the series. “I think that’s one of the reasons they were open to having us enter their lives, essentially. We made it clear to them we were not there to judge them, we were there to listen and to give them a voice and I think they saw the value in that, we established a rapport with them and we built trust with them and wanted to treat their entire story as responsibly as possible,” said Demos. One of the main figures in Making a Murderer is the soft-voiced prosecutor Ken Kratz, who at one critical point is seen relishing the announcement of Brendan Dassey’s detailed statement to investigators on Teresa Halbach’s murder. He recently alleged that viewers of the series didn’t get to see important evidence shown to the jury. In an interview, Kratz stated that the series “really presents misinformation”, the New York Times reported. The directors refute his claims. He is going on television and lodging accusations against us. Much of what he says, simply his facts are not true. It’s not about ‘do we include it, do we not include it’, they simply are not facts. So as far as whatever evidence he’s pointing to, we followed this case for two years. What he is talking about now are never pieces of evidence he hung his case on. These were circumstantial pieces, some of which didn’t even come into the trial, when they did come into the trial the prosecution would exclude them on a particular point. These were contested facts. Both women feel that Kratz is trying to hijack the conversation about Avery’s conviction. “[He is doing that] by focusing on evidence, by focusing on innocence or guilt, making that the national debate or the international debate,” said Demos. The courtroom and interview room footage is key in how Making a Murderer is able to grab viewers. We are pulled into the court, we get to hear the words as they were said, and get to see the reactions of those present. As we watch, the whole case – troubling as it is in points – unfolds before us. For those who thought it might be difficult to get hold of such footage, it transpires that Ricciardi and Demos were very lucky that it was in Manitowoc where all of this occurred. That challenge came from one Ken Kratz. They wrote to Kratz in 2006, inviting him to participate in the documentary while being mindful of the process. They never received a response. “Instead, two months later he tried to subpoena our footage,” recalled Ricciardi. Demos described Kratz as “very conveniently but not very wisely strategically recycling a losing argument he made in 2006 in connection with his subpoena”. At that time he argued to Steven’s judge in the Halbach case that we and our company were an investigative arm of the defence and the judge actually ruled in our favour and said we were entitled to the same privilege as journalists, so we were protected by the first amendment and the State could not take our footage away from us or demand copies of our footage. He lost that argument then but for whatever reason he thinks it’s appropriate to reuse it now. What about the future? Avery now has new lawyers, and there is a push to get him a re-trial. “We are prepared to follow the story developments,” said Demos. #MaM #BeNotAfraidPeopleofManitowoc. Eyes of the world are now on you. It's time to tell what you know. Cops won't dare retaliate now. “One thing I would definitely say is pervasive is what appears to be a lack of accountability in our justice system,” she continued. We see that in the series, we see the Wisconsin attorney general issue a report that nobody did anything wrong in 1985. When you see evidence of what happened in 1985, that’s a terrifying fact, that the State’s top law enforcement issues that ruling. We see that with the Department of Justice and how they handled things with Ken Kratz in episode 10. If there isn’t accountability, it’s not that surprising that things go a little bit off the rails and there’s room for perversion of the system at that point. She points to how the Penny Beersten case was handled, and how quickly Steven Avery was brought into it. “It seems that there was an incredible rush to judgement when Penny Beernsten first gave her description of the assailant, to the extent it’s true that law enforcement official mentioned Steven Avery’s name to a victim eye witness,” said Ricciardi. In Steven’s federal civil rights lawsuit, law enforcement were accused of failure to turn over potential exculpatory evidence. “That really begs the question of why prosecutors are actually seeking justice, and [if] they come across evidence that would tend to point away from the accused, why would they not voluntarily share that with the defence?” asked Ricciardi. She and Demos argue that much of this pressure comes from the American public itself, with elected officials taking their cues from constituents. “If their constituents are allowing them to run on platforms that are tough on crime as opposed to the administration of justice, that is problematic,” said Ricciardi. 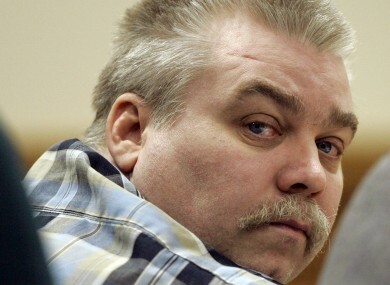 Though it is unclear at this point whether Steven Avery will get a new trial, it is clear that this series has created a push to have his situation looked at. With new lawyers, and an international conversation taking place around his and Brendan Dassey’s convictions, we can expect that Making a Murderer won’t be the last we’ll see of Steven Avery. What do you think of the series? Tell us in the comments. Making a Murderer is available to watch on Netflix now. Email “They had no funds and no Netflix - but here's why Making a Murderer got made ”. Feedback on “They had no funds and no Netflix - but here's why Making a Murderer got made ”.